I created this image by adding a Curves layer in PS and changing it to "negative". 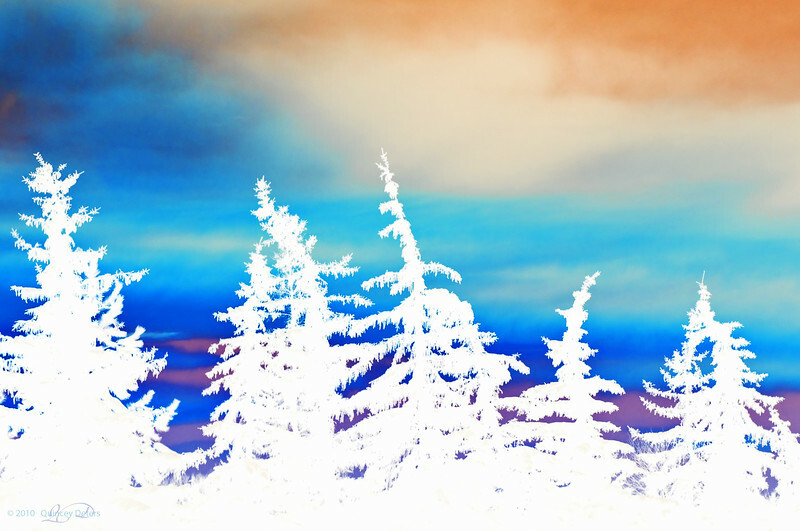 I loved the effect it had on the trees and it seemed fitting for the weather. I love the treatment! Fantastic photo artwork. My kindof shot and pp. This is a really cool photo! Love it! Ooooooh, I love both of these! Very creative effect. I love playing with effects in PS. Thanks for your visit and the wonderful comments! This is one of my favorite shots of yours. I love the colors. It would make a very cool Art Card. The original is beautiful, but this is very cool.